Lochaber Music Festival Association has prepared a Safeguarding Policy (updating the Child Protection Policy) to cover the Festival and all Festival Concerts, for approval by the British and International Federation of Festivals. We will take any allegations of abuse seriously and respond to these immediately. The object of the Association shall be to advance the education of the public in the Arts. In particular, it will provide a platform for amateur performance in the arts of Music, Speech and Dance combined with an educational element from professional musicians, dancers and speakers who will be adjudicating at the Festival. It is the policy of our Festival to inform and involve parents, guardians, carers and teachers in partnership in order to ensure, as far as is reasonably practicable, a safe environment at our events. A copy of our Safeguarding Policy will be available in the syllabus and on the website to those making arrangements for entering children and vulnerable people. A hard copy can also be made available to anyone requiring one. The entry forms contain a statement of agreement. Receipt of this will require to be acknowledged. With regard to private teachers or group leaders, they will be required to return the "Teacher's Letter" indicating that they have passed on the information to the parents of those they are entering. (Electronic receipt of this will be acceptable.) In order that entries can be accepted, it is essential that the letter is returned to secretary@lochabermusicfestival.co.uk Where an entry is a "School Regulated Event", a single copy of the policy will also be sent to the school who will then be responsible for their own arrangements. The following venues are normally used for events: The Alexandra Hotel, The Ben Nevis Hotel, Bun-sgoil Ghaidhlig Loch Abar, Lochaber High School and Kilmallie Hall, Corpach over the period of the Festival with competitions taking place across the venues. Some areas in the venues such as those in hotels are open to the public. Entrants are advised via the annual Festival Programme of the location of their competition. Our policy is to inform parents, guardians, carers, teachers and other entrants of the dates and venues of the various competitions via access to the Lochaber Music Festival website and by making copies of the Programme which also contains names, available publicly. The information will be available two weeks prior to the start of the Festival. The preparation and presentation of the Festival is the work of volunteers who will be on duty at each venue during the event. It should be noted that the running of the Festival is not carried out by those who own or manage the venues. 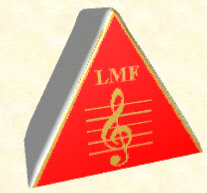 The Lochaber Music Festival has charitable status. This policy relates to children under the age of 18 years and members of vulnerable groups of any age whose needs are identified to the festival organisers by parents, guardians, carers and/or teachers prior to their arrival at the Festival. This should be done by contacting the address or telephone number at the foot of this document. Our Festival actively seeks wherever possible, to meet these needs but must know beforehand in order to prepare support – or to let the relevant persons know if we are unable to help. We invite suitable persons who are well known by the Committee and in the local community, to assist in their various capacities at venues during the Festival. Names and addresses of volunteers are retained. Written instructions as to duties are given to volunteers. During the Festival, all volunteers will be identified by a named badge of office. Should a problem arise, anyone wearing a Lochaber Music Festival badge will be able to give directions to someone who can help. The Committee will endeavour to discuss in private if possible, when concerns are raised. Every problem will be acted upon and dealt with sympathetically. The issue will be documented, dated and retained. As stated in Item 2, all parents, guardians and carers should be able to access competition details and will be most welcome at all or any of the events in which their children/young people are participating. All children participating in the Lochaber Music Festival who have been entered by schools MUST BE ACCOMPANIED BY TEACHER(S), CARER(S) or by a PARENT or PARENTS asked by the schools to assist as helpers. They will be responsible for the conduct of the children attending the event(s). Where parents, guardians or carers are not personally attending with their children, they should be aware that stewards and festival personnel are not responsible for their direct supervision. Changing areas may be provided for children taking part in Singing Games, Action Dramatised Songs and Dancing. Parents, teachers and carers will be responsible for supervising their children in the changing areas. Toilets are available at all venues but they are not supervised by festival personnel. As stated in Item 3 above, any special need should first be discussed with the Festival Committee. In all venues, EMERGENCY EXITS must be noted by festival personnel. The safety of ALL COMPETITORS AND OF THE AUDIENCE is of PARAMOUNT IMPORTANCE. Before each session, the chairperson must announce the position of Emergency Exit(s) to competitors and audience. The use of any type of camera (including mobile phone cameras) is not permitted during performances at this Festival. Notices indicating this will be posted at each venue and information will be given in the Programme. There shall be no recording of performance via any kind of device. However, in order to encourage our participants, known representatives from the Press may request the opportunity to take photographs. Permission for this will be sought from the person responsible for the entrant (s). The Rehabilitation of Offenders Act 1974; The Children Act 1989; The Police Act 1997; The Data Protection Act 1998; The Human Rights Act 1998; The Protection of Children Act 1999; The Criminal Justice and Court Services Act 2000; The Children Act 2004; The Vulnerable Groups Act 2006. The organisers will regularly review their policy, improving and enhancing it as necessary. In doing this, they will look to the British and International Federation of Festivals for support and that body, in turn, will look to other agencies for good practice most notably the NSPCC and Scottish Arts Council Policy Guidelines. or Catherine Cameron, Allegra, Invergloy, Spean Bridge PH34 4DY.